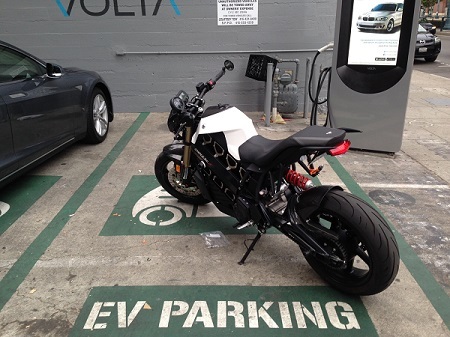 Looks like Brammo’s new electric motorcycle is all grown up. The Empulse R is a beefy and badass looking naked sportbike, with a design reminiscent of the Ducati Monster or Streetfighter. Packed with power, it retains the title for world’s fastest electric motorcycle in serial production both riding and charging. Real contenders in the motorcycle racing world, Bremmo has outdone themselves for 2014. Not only does it look like a legit motorcycle, it performs like one as well. 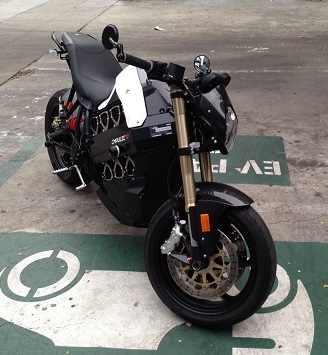 Being a city sportbike rider myself (Ducati 848), I would be love to swap it out as my daily commuter to cut down on emissions and gas costs. US pricing comes in at $16,995 for the Empulse, and $18,995 for the Empulse R model. Wow, this technology has come a long way. I would love to test drive this bike.